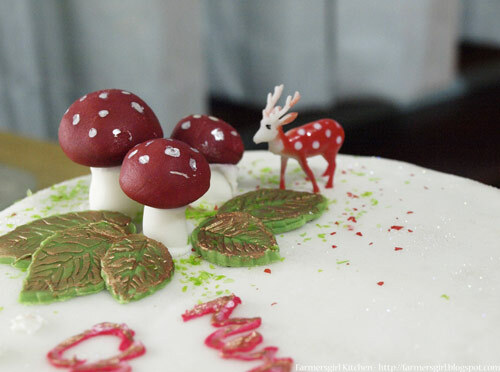 My Christmas cake for 2012 has a woodland theme, with some little toadstools and a miniature deer. Yes I know it's not in proportion, I really wanted a fairy, but had to make do with this teeny little deer! Although I covered the cake with fondant icing, I needed to stick the toadstools together with something and also make sure they would stand up on the cake. What I needed was some Royal Icing, but I only needed a little bit. 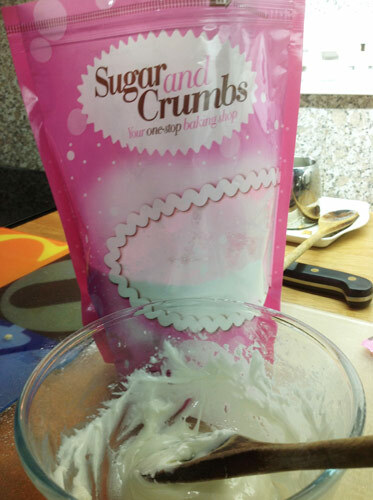 That's where Sugar and Crumbs Royal Icing mix is ideal. I only needed to mix up as much as I needed as this Royal Icing has been developed using the best quality fine particle icing sugar available on the UK market together with a fully pasteurised "high whip" egg white powder. High whip basically allows the egg white to create peaks/get firmer much quicker and it can also be used for run out icing because of the quality of the egg white. It's not yet available to purchase, but I can certainly recommend it for ease of use and performance. I added some colour to the icing I had left after using the Sugar and Crumbs Royal Icing to fix the toadstools and leaves, then added some food colouring and piped Merry Christmas onto the cake. My piping skills are not so great, but at least I didn't mis-spell it! I was supplied by Sugar and Crumbs with a number of products for trial, including Royal Icing. I was not required to provide a positive review, all views are my own. 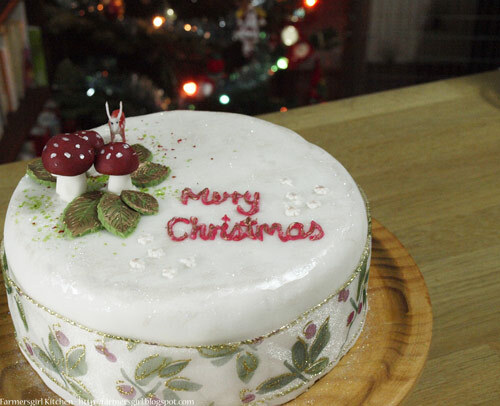 My Christmas cake will be made for the cancer survivors! My mom is a breast cancer survivor. But imagine mispselling? I would be concentrating so hard not not making a mistake I probably would, then I would have a cake wreck candidate. Your cake is really pretty - I love it! Home and Freezer Digest - an enduring legacy!